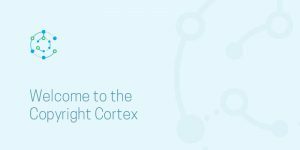 CREATe researchers invite you to the launch of the Copyright Cortex at the British Library on the evening of Tuesday, 20th June 2017. The Copyright Cortex is a new innovative online resource concerned with copyright and digital cultural heritage. A collaboration between Queen’s University Belfast and CREATe at the University of Glasgow, the Copyright Cortex will become the principal point of reference for archives, museums, libraries and other memory institutions seeking information and expert commentary on how UK copyright law impacts the creation, access to and use of digital cultural heritage. The Copyright Cortex project benefits from the generous support of CILIP: The Library and Information Association, the Libraries and Archives Copyright Alliance, the CILIP Information Literacy Group, and Europeana.